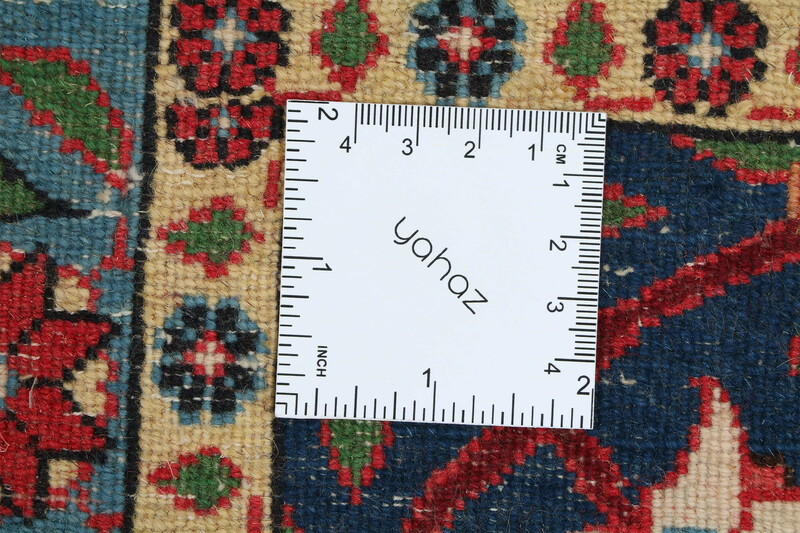 The city of Varamin lies on the Varamin plain about 25 miles southeast of Tehran. 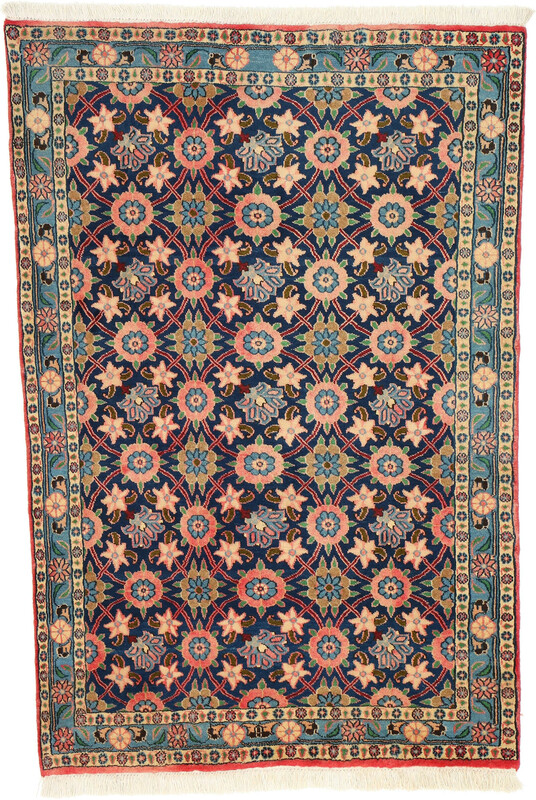 Varamin is famous for its carpets because they exhibit the pure elements of their tribal origins with little foreign influence. 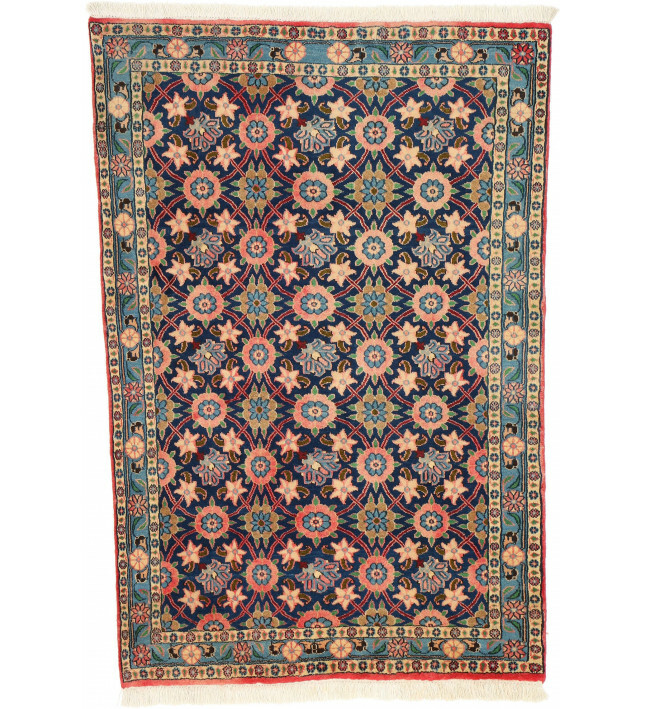 Allover repeating patterns of precisely rendered geometric floral motifs such as the mina khani design are typical of Varamin rugs. 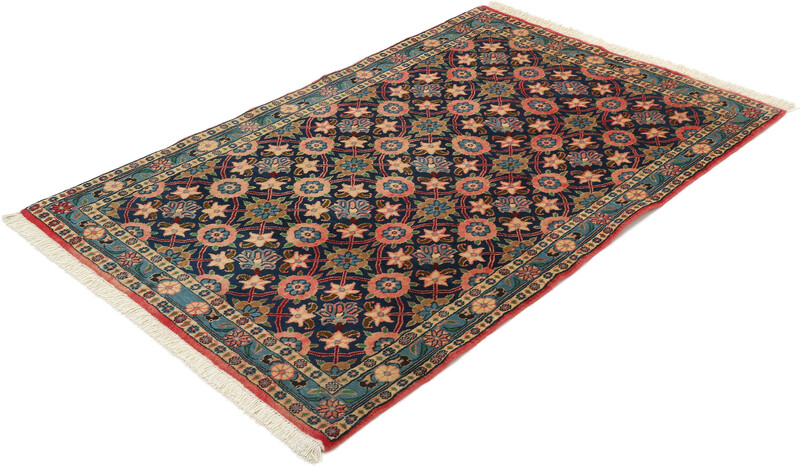 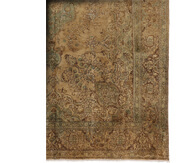 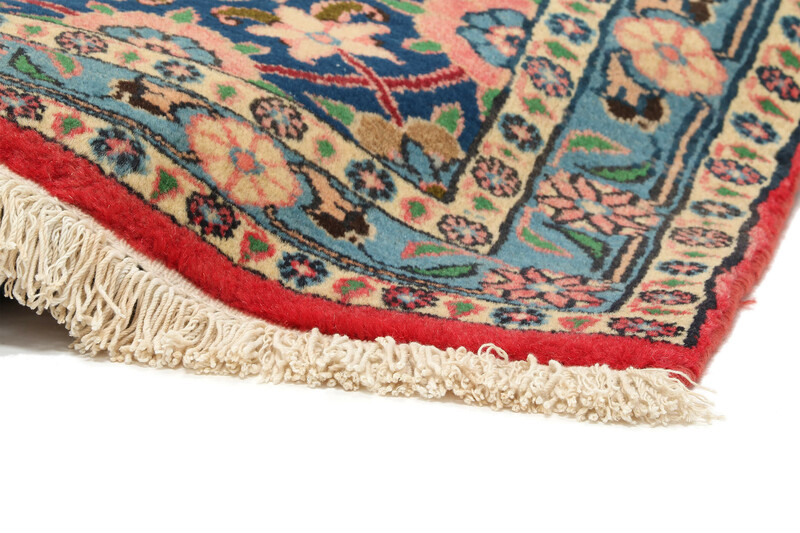 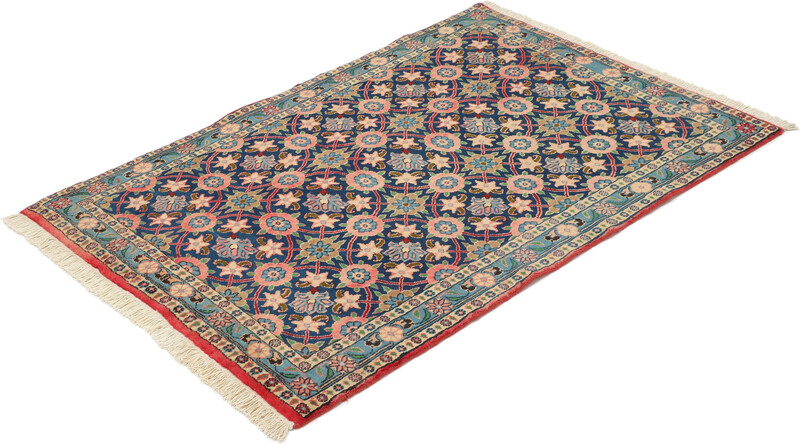 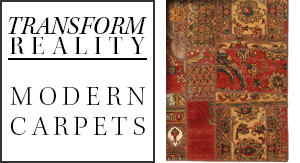 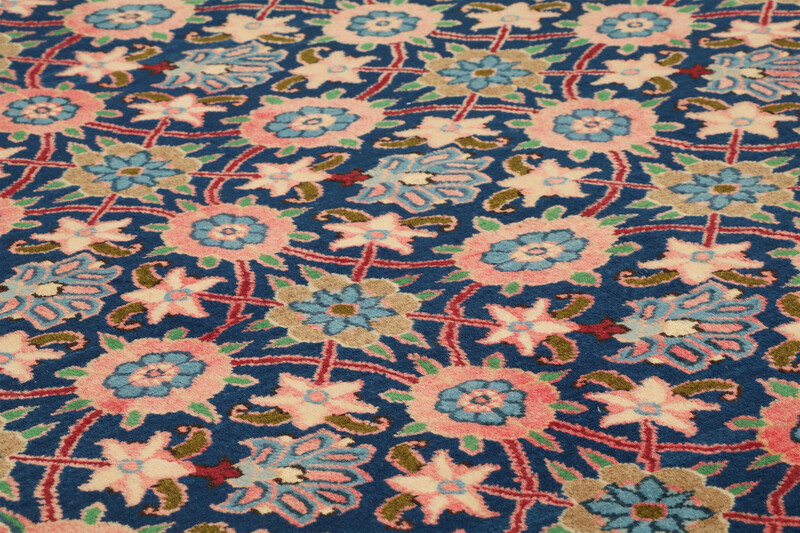 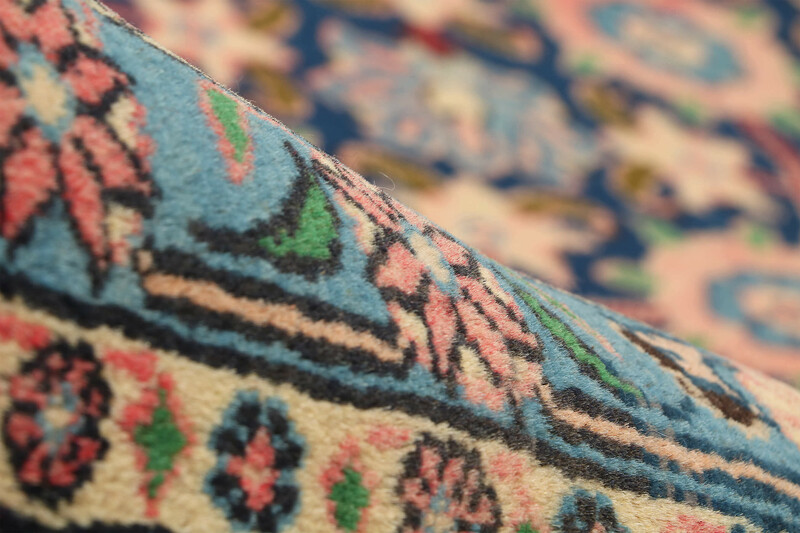 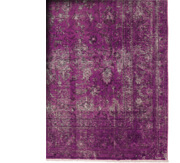 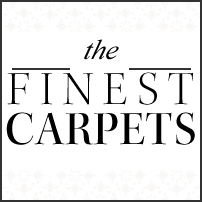 Varamin carpets feature natural vegetable dyes, rich wools and traditional tribal motifs. 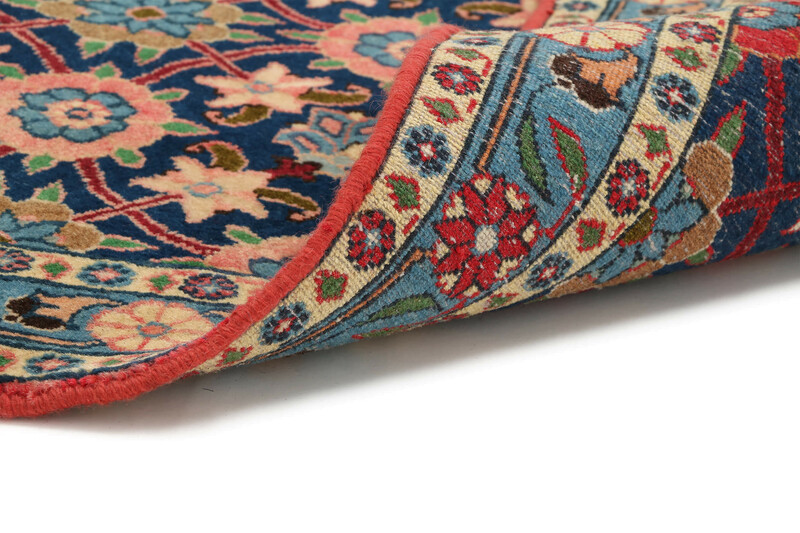 They exhibit a rich color palette of dark blues and reds used for backgrounds with motifs in vibrant reds, ivory, blues and oranges and sparse use of greens and yellows.